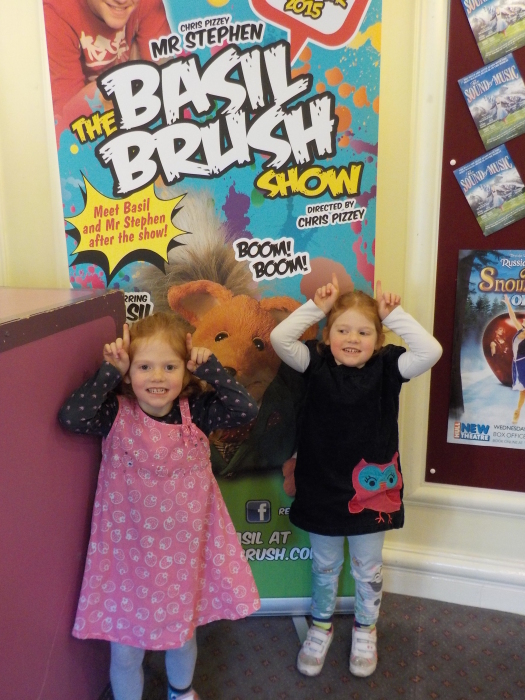 Basil Brush is back with a BOOM! The hardest working fox in showbiz is at the early stage of a 100+ date tour of the UK, and we caught him on his third show, at Hull New Theatre. The show is 90 minutes (including interval) of Basil Brush fun. He is accompanied by Mr Stephen, a hapless theatre manager, and a digital screen. Basil’s evil fox nemesis hypnotises the theatre manager into sabotaging their amazing, spectacle of a show, and Basil and Mr Stephen have to improvise. The show must go on, as they say. My children all loved it. The four-year olds weren’t as convinced, especially when the water guns came out. 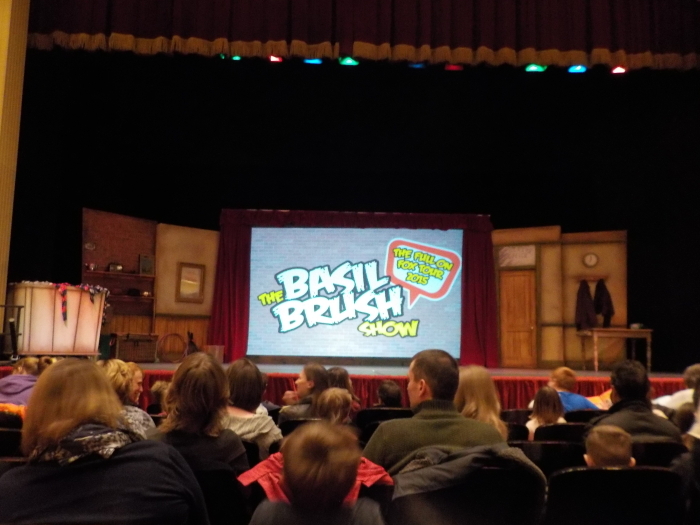 To be fair, they’d never seen Basil Brush before so didn’t really know what was going on, but they joined in with the fun, and the dancing. There was a lot of audience interaction and I think one of the twins was going to self-combust with excitement during the obligatory ‘he’s behind you’ scene in the haunted house. The seven year-old loved the childish humour. There are plenty of jokes about wees, bums, and more to entertain the average potty-humour enthusiast. The ten-year old liked the adult humour and the general mayhem. Ginger nuts, anyone? The show contained water guns, custard pies, a game where two children were invited to join in, and lots of interaction with the digital screen. I think there was enough balance between on-stage action and on-screen action, and it worked a lot better than I feared it might. After the show, we were invited for a photo opportunity with the main fox himself. We joined the queue of excited children, parents, and grand-parents and waited for our turn to give him a tickle and have a photo. He was very friendly, though not as chatty as he was on stage. 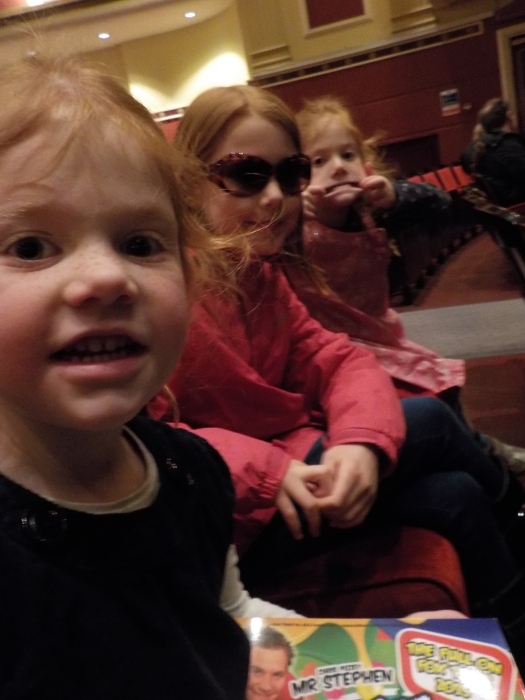 Overall, we loved our trip to the theatre, and we had a lot of fun. 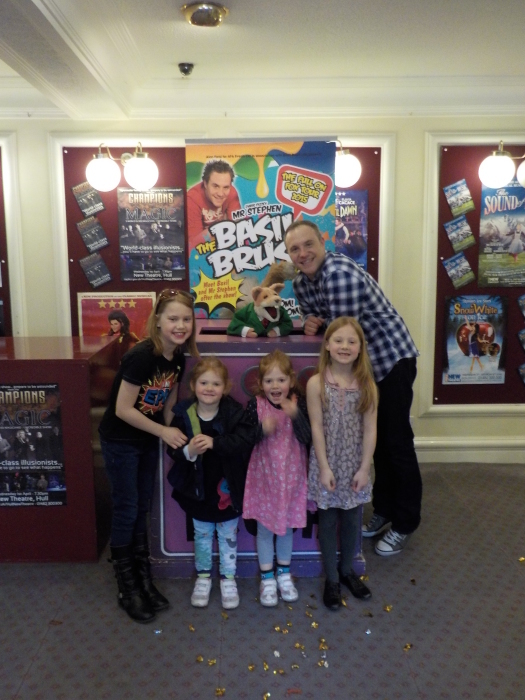 We have given it a Kids Days Out Reviews family rating of 8.5 out of 10. Basil is on stage for a huge chunk of the show, and fans of the cheeky fox will love it. 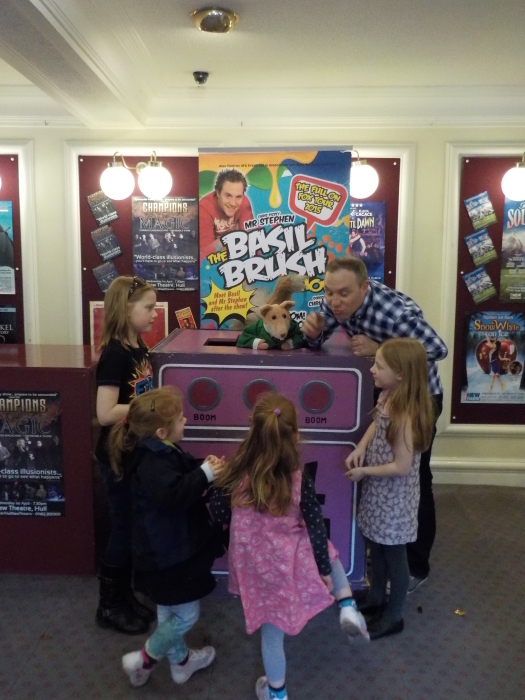 You can catch Basil Brush and friends on his extensive UK tour, which is doing the rounds until November 2015. Check out the website for dates and ticket prices. Disclosure – we were given press tickets to attend this show and write this review. As always, opinion is our own.